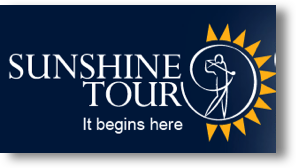 The Sunshine Tour currently co-sanctions four tournaments with the European Tour, these being the Alfred Dunhill Championship, the Joburg Open, the Tshwane Open and the South African Open, the second oldest championship in golf. These serve as the launch of the European Tour each season. The Nedbank Golf Challenge, which was also c-sanctioned by the Sunshine Tour, enters a new era in 2016 as it becomes the second tournament in the three-event Final Series for the European Tour. The Sunshine Tour also co-sanctions the AfrAsia Bank Mauritius Open with the Asian Tour and the European Tour.